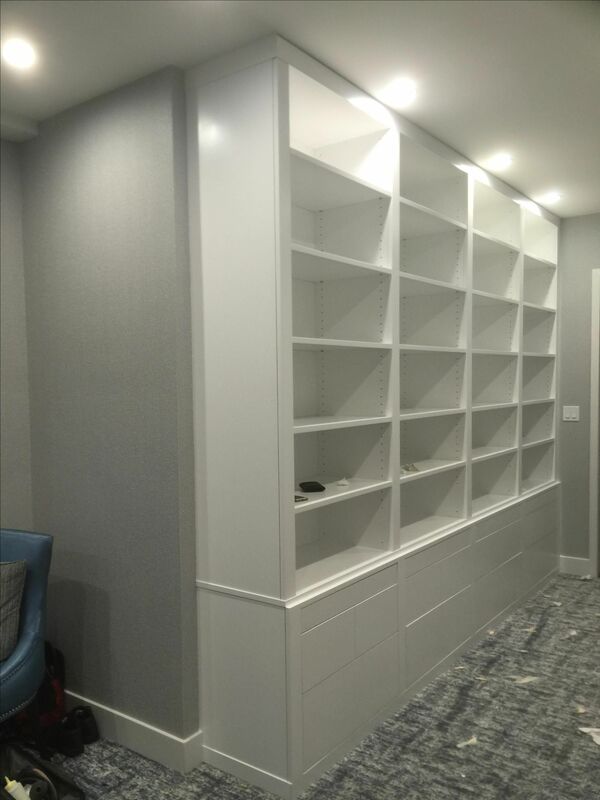 12 ft custom white laquered Bookcase. Thick walls ranging from 1" -- 3" in. Soft close drawers accented with fancy Handles.